Ivy League Scuba is a scuba training school and dive center in Jupiter, Florida. Ivy League was founded by Austrian Christian Siegl. Christian was so curious as a young man by the unknown of the sea, he took up the then little known sport of diving in 1974. Over the years Mr. Siegl has become a successful entrepreneur and airline pilot. He is in charge of well over 300 employees at his Austrian business, so Mr. Siegl is more than capable of handling small groups. In doing so, he has become a member of the Admirals Cove Country Club which he offers all those amenities to his VIP clients. With over 40 years of diving experience, Christian also has achieved the following from PADI. He is a rescue and master scuba diver, dive master, open water instructor, specialty instructor in over 12 specialties and a master scuba diver trainer. If you are looking for something fun to do in South Florida with your family, this could be it. Courses include Open Water Diver, Advanced Open Water Diver, Rescue Diver, and Dive Master. Dive speciality courses are also offered and include Night Diving, Wreck Diver, Underwater Photography, Search & Recovery, and much more. First Aid, AED, and CPR Training courses are also available. Ivy League Scuba offers a wide variety of packages that will fit the needs of any family. They offer individual classes as well as specific training in many areas. As a family, you can also try out all experiences. Ivy League Scuba offers standard, silver, gold and VIP packages so there is something that will meet almost every one's budget. There are also junior classes as Christian knows that a younger person may learn at a different level and pace than an adult. Christian also knows all the best spots in Jupiter, and depending on the package and skill set, can take you to some unbelievable underwater settings. So whether you are an experienced diving family looking for the most extreme adventure, or a budget conscious crew looking to learn Scuba for the first time, Ivy League may just be the right fit for you. Jupiter Inlet Boat Rentals is a premier boat rental club at the Palm Beach County. They provide an alternative to boat ownership by providing high quality boats, which are readily available and promptly carters to the needs of the customer. Customers are able to choose from the fleet that is rented out to the general public and the club members, whereby the members can acquire them at a lower cost. Boats provided are fully equipped to ensure safety and comfort. The engines are well serviced and run on fuel efficient engines. The boats can be used either for offshore fishing or deluxe cruising. To add to that, the boats are suitable for both ocean and intracoastal waters. Jupiter Inlet Boat Rentals has a variety of boats that are hired out on either half or full day basis, the different types of boats include: Consoles 200hp + Roundabouts/225hp 23',Deck Boats by Hurricane powered by Yamaha outboards 23',Consoles Open Fisherman 24' and Center Consoles Open Fisherman 26'. In addition to the hiring fee, there are other added expenses in the form of fuel, tax and optional CDW. Coupons of up to $50 off are also at times provided upon hiring of the boats. Becoming a member of this boat rental club is also a venture that one would consider as owning a boat requires dedication and eats up time and energy. There are different membership plans that are paid differently depending on the duration of the plan. The payment covers insurance, maintenance, storage and boat payment. Jupiter Intel Boat Rental Club suits family needs of privacy as one can organize to have a private tour provided by the USGC licensed captain who handles all the planning while the family enjoys the tour viewing the beautiful scenery and wildlife. One cannot fail to have a time of a lifetime. Jupiter Inlet Boat Rentals is a Boat Rental Company and Boat Rental Club. Here you will be able to choose from a fleet of boats by Aquasport, Sea Pro and Hurricane. Rentals are provided to the general public and members of the boating club. Members enjoy low cost boating. Rent off-shore fishing boats, deluxe cruising boats and plush deck boats all powered by Yamaha outboard engines. Jupiter Inlet Boat Rentals is located just 2 minutes away from the mouth of the Jupiter Inlet, so there is fast ocean access. Jupiter Outdoor Center, located in Jupiter, South Florida has been offering recreational water sport activities in nature, for the entire family to enjoy, since 1997. Those who visit it for the first time will certainly have an exciting and relaxing experience, at the same time, and those who are on their first visit definitely will want to return. This outdoor center for nature enthusiasts offers a variety of engaging sports activities, like Stand up Paddleboarding, Kayaking, guided tours and classes. Also, the entire family can enroll in a paddle party. Additionally, it offers paddleboard and kayak lessons, for those who wish to learn further and snorkeling tours, for a dive in the underworld of those beautiful, clear waters. 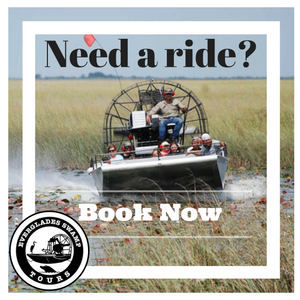 Along with these classes, gear rental, and the guided tours, visitors may also want to choose from three tour offerings: the Mangroves and Manatees Mystery Guide, Sunset and Stargazing Tours or the Full Moon Paddle. Again, you can choose between kayak or Stand up Paddleboarding for running these tours. This catchy and relatively new sport is easy and fun. Older children will definitely have a blast learning, while being safe and secure. These tours run on different days and at set times. You will need a reservation, that can easily be made online, in the Event Calendar section, but the center itself is open seven days a week. If you choose to simply learn a new sport or take an adventurous tour, the water sports center is focused on the relaxation and harmony of its visitors, providing the gear necessary, guides and teacher for sightseeing and practical lessons. What a wonderful way to make family memories that will last. Looking for something fun to do with the family? Look no further than Manatee Queen Excursions. Take a beautiful trip around Jupiter Island and the Atlantic Intercostal Waterways. Gather the friends and family then book a tour. Listen to the tour guides as they point out the stunning sights. You'll be able to relax on the comfortable forty foot vessel, which holds not only forty-two passengers, but is also wheelchair accessible. Refreshments are available, but there is still the opportunity to pack your own drinks and snacks. Booking your trip is easily done over the phone or on their site. Let your worries slip away as you board this magnificent ship, let the beautiful blue waters soothe you. The kids will have a blast and be entranced by all Jupiter Island has to offer. Experience a taste of the charm and allure of some of the outstanding estates owned by some of the wealthiest people in America. What better way to take in all the astonishing scenery southern Florida has to offer? Looking for a unique place to do a birthday party? Would you like to show your employee's or coworkers you appreciate them? Nothing says it better than a private tour or corporate outing. With reasonable prices, friendly staff, and a relaxing atmosphere this is something you wouldn't want to miss. Even locals would have a wonderful time. Think you've seen all Florida has to offer? Think again. Get a new perspective on The Sunshine State. Known for their sparkling blue waters, welcoming atmosphere, and family friendly staff, you will walk away from the two hour cruise with a smile, and a camera full of pictures to commemorate the trip. This will be something the family will be looking forward to the moment it's announced, talked about for weeks after, and remembered for lifetime. Are you looking for a fun way to challenge your fishing skills? Look no further then Reel Candy Sportsfishing, located in Florida at the Jupiter Inlet Marina. They offer many target fish species including Tuna, Dolphin, Sailfish, Marlin, Wahoo, Swordfish, Kings Fish, Sharks along with many more. Plan a trip you will be talking about for ages. Your heart will race and your palms will sweat as you experience the thrill of the catch. They utilize a vast variety of fishing methods: Everything from kite fishing, to deep dropping. Imagine being out in the deep blue sea holding a rod with a shark on the hook! With an experienced crew consisting or Captain Marvin Steiding, and deck hands Chris Watkins, and Eric Levinsky, who are licensed as a United States and Bahamian charter service, your trip is sure to be memorable. Maybe you’re not only a fisherman but a hunter. Reel Candy Sportsfishing also offers excursions, where you can go to The Pine Ride Plantation where you can hunt birds and ride horses. The property is vast and a simple horseback ride can turn into a wildlife tour. Not only does Reel Candy offer Charters and excursions but they also offer sunset cruises. What is more romantic then boarding a luxurious forty-seven foot yacht, to sail out into the ocean and watch the beautiful almost painted sunset? It’s a wonderful place to start your life with your partner, or celebrate anniversaries and other special occasions. This isn't just a fun trip for tourists, Florida natives should think about planning a trip of their own. Bring your friends or the family, everyone will love all the things Reel Candy Sportsfishing has to offer. The memories will last a lifetime. Break away from the everyday pace and experience a day filled with excitement, challenge, and good old fashioned family fun. FYI: Sailfish seasons premier months are November, December, and January.